OTHER PARTS OF THIS ARTICLEPt. 1: This PagePt. 2: The Role of Maintenance in Boiler Performance LifePt. 3: Boilers: Repair or Replace? Boiler inspections required by states and municipalities are becoming stricter, but they often do not cover the entire system. 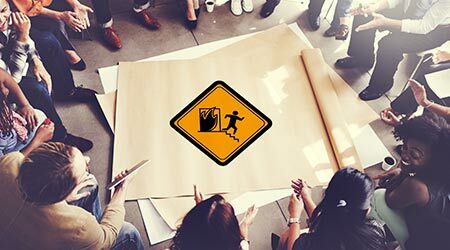 For this reason, managers should consider them to be the minimum requirements. Boilers are among the most challenging pieces of equipment that maintenance and engineering departments are responsible for. Combine the costs to operate, monitor, inspect and repair boilers with the often large costs for the energy to run them, and the numbers can be enormous. For these reasons, it is essential that managers and their staffs do everything possible to avoid replacing boilers by extending the performance lives and ensuring they operate safely, reliably and energy efficiently. A comprehensive inspection and maintenance program can go a long way in helping managers achieve these goals. 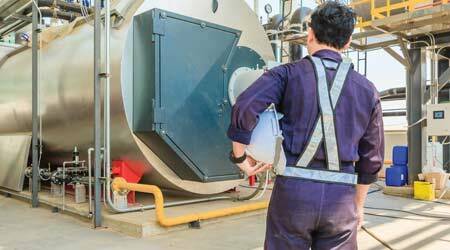 States and municipalities require boiler inspections, and while some inspection requirements are becoming stricter, they often do not cover the entire boiler system. Because of this, managers should consider them to be the minimum requirements. Safe boiler operation requires operators and technicians to establish a comprehensive inspection and testing program. For example, at least annually, operators should inspect all of a boiler’s water-side and fire-side surfaces and refractory surfaces and remove corrosion, scale, and mud they find. Beyond helping the organization meet the legal requirements of states and municipalities, annual inspections help technicians uncover problems in their early stages before they have a chance to cause costly damage to the boiler. • Examine the boiler or domestic water heater for code compliance at least annually. • Identify and correct any installation deficiencies. • Inspect and test safety and interlocks for proper operation. • Test the operation of the control system over a range of loads. • Test all shutoff valves annually to confirm that they close and do not leak. • Check interior surfaces during the annual inspection to ensure no localized overheating, erosion or corrosion formation occurs. Each day, operators and technicians also will have to perform additional testing and inspection procedures, depending on the size of the boiler and the nature of the load that it serves. They also should inspect the entire fuel system for leaks. In all cases, they should consult with the unit’s manufacturer in order to determine the most appropriate test and inspection procedures. Operators also should monitor the boiler’s water-treatment system. All boilers require make-up water. While chemical treatment can remove impurities from the system, it is essential that the type and quantity of chemicals operators use match the conditions found in the boiler system, as well as the quantity and quality of the make-up water required. Using the wrong type or quantity of chemicals can result in inadequate protection or accelerated corrosion. Operators and technicians also need to remember to update the boiler log, which is one of the most important tools at their disposal in ensuring they operate and maintain boilers properly. A boiler’s operating conditions change very slowly, so unless something goes drastically wrong within the boiler, operators might not notice until it is too late. By entering key pieces of data into the boiler log regularly, operators will be able to look back to identify trends that indicate developing problems they otherwise might not detect.